This property is all about LOCATION! 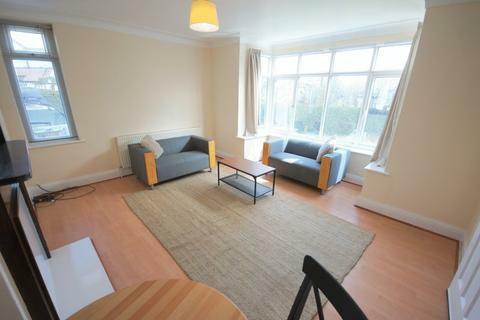 Situated in a POPULAR POSITION on Cardigan Road this Ground FLOOR FLAT is suitable for a single professional and is also large enough for a couple to live comfortably. 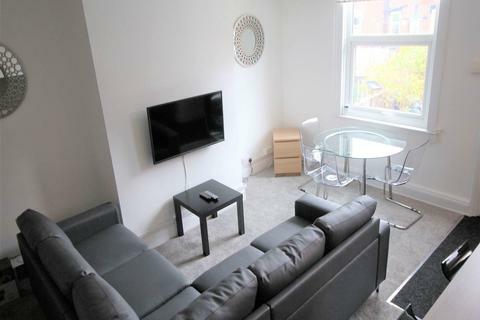 Decorated in a neutral palette the flat is light, bright and spacious and provides a LOUNGE/KITCHEN with space for dining, a good sized double bedroom and FULL BATHROOM SUITE with shower over bath. There is OFF ROAD PARKING at the front of the building and the property is available FURNISHED. Headingley lovers are sure to want to see this one as it offers great value for money for such a vibrant and convenient location! £100 Application Fee per applicant. For further details on this property, including additional key features, information on the local area and full EPC please go to our website. £100 Application Fee per applicant. Property reference 14553333. The information displayed about this property comprises a property advertisement. OnTheMarket.com makes no warranty as to the accuracy or completeness of the advertisement or any linked or associated information, and OnTheMarket.com has no control over the content. This property advertisement does not constitute property particulars. The information is provided and maintained by Moores - Headingley. Please contact the selling agent directly to obtain any information which may be available under the terms of The Energy Performance of Buildings (Certificates and Inspections) (England and Wales) Regulations 2007 or the Home Report if in relation to a residential property in Scotland.